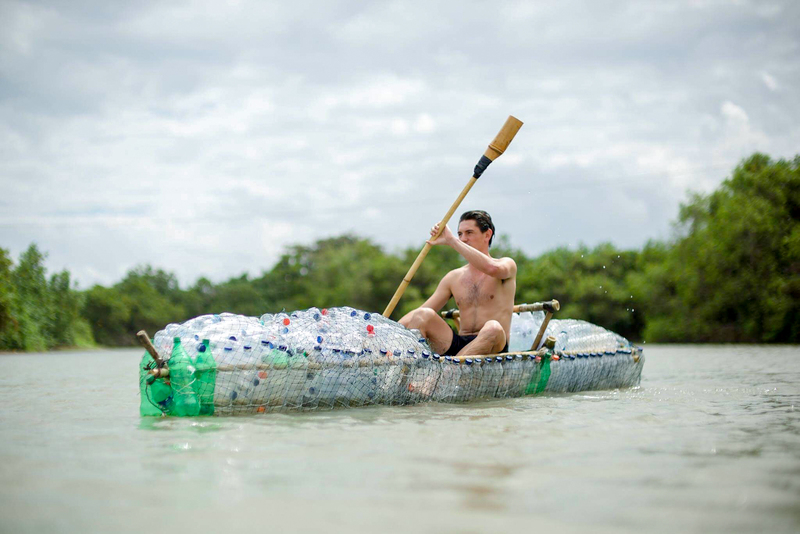 While many Lehigh students spent their summers studying abroad or interning, junior tennis player Sam Bencheghib traveled to Indonesia with a kayak made out of plastic bottles and bamboo to help raise awareness for the world’s most polluted river. Bencheghib was born in Paris, but at a young age he relocated to Bali, Indonesia where he learned to speak Indonesian and English. Bali is where Bencheghib embarked on his journey toward conservationism. Over the summer, the pair witnessed a surge in the number of followers on their Facebook page, which rose from 8,000 to 76,000. As a result of the increase in support for their cause, the brothers expanded their organization to “Make A Change World,” in an effort to reach an international audience. Bencheghib said the organization’s goal is to expose the problems created by climate change and pollution through social media. In June, Bencheghib and his brother conducted research and learned that the most polluted river in the world, the Citarum River, was located in the same country in which they grew up. Over 15 million people in Indonesia rely on the river. The brothers realized the main problem with pollution in rivers is all the trash, which eventually ends up in the ocean. They decided to document the pollution in the Citarum first-hand alongside a professional cameraman and a drone operator. “When we arrived, all the locals were touching us and they thought it was amazing because we were wearing full body suits on our plastic kayaks to avoid the toxic pollution in the river,” Bencheghib said. The brothers designed the kayaks and then crafted them by hand. Bencheghib said the kayaks, which can float in water with the assistance of bamboo, took about a week to build and were primarily composed of plastic water bottles wrapped in netting. The kayaks served as a visual to represent the waste that rivers are depositing into oceans. Gary’s background in film aided the brothers in their creation of one- to three-minute feature videos that promoted sustainability throughout Bali by documenting the river’s pollution. The videos received over two million total views after NOWTHIS and ECOWATCH discovered them. Senior tennis player Dylan Karchere-Sun said seeing Bencheghib’s video increased his awareness of recycling methods. Karchere-Sun said when he goes to C-Town, he no longer carries his groceries in plastic bags. “The sheer number of dead animals and plastic waste in the river definitely left an image in my head,” Karchere-Sun said. 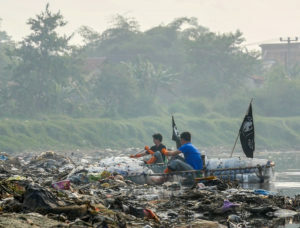 The brothers’ efforts resulted in a verbal promise from the Indonesian Minister of Environment to continue the effort that began in 2008 to clean up the Citarum. Tennis coach Wouter Hendrix said he’s become a big fan of the brothers’ organization and is proud of Bencheghib for his commitment to the cause.